Dried lemons are typically used in Middle Eastern and Persian dishes. They are easy to dry at home. This is a guide about drying lemons. Dried lemon slices make great a great garnish. They are also a flavorful ingredient in many recipes. It is easy to dry lemons at home. 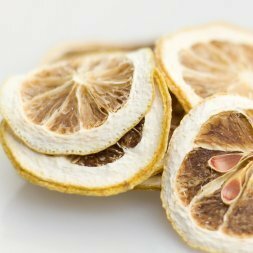 Cut, unpeeled, into thick slices. Place the slices on a wire rack and place it on a cookie sheet. Dry the lemon slices in the oven for 4 hours. Remove them and continue to air dry.